Now let’s get down to business. At some point you have to face facts, and facts are something that is hard to come by. Polvo was always meant to be a well-oiled little machine that could run on its own at minimal expense. To do this, you need to know what works and what doesn’t work. And if something is tapping your finances, you need to put a stop to it. Most coffee shops like going into detail when it comes to their coffee consumption. A lot of time is spent calculating grams and wastage per shot. This is clever business, but something I decided early on not to worry about too much. 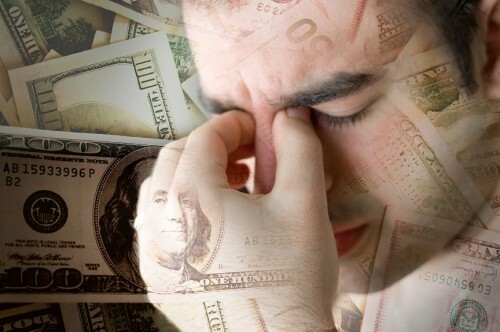 By all means, understand the consequence of shot costs to your business. It is after all “black gold”, so keep an eye on your stock consumption. Just don’t lose any sleep over it. I am a crime author by nature, so detail is my one vice. 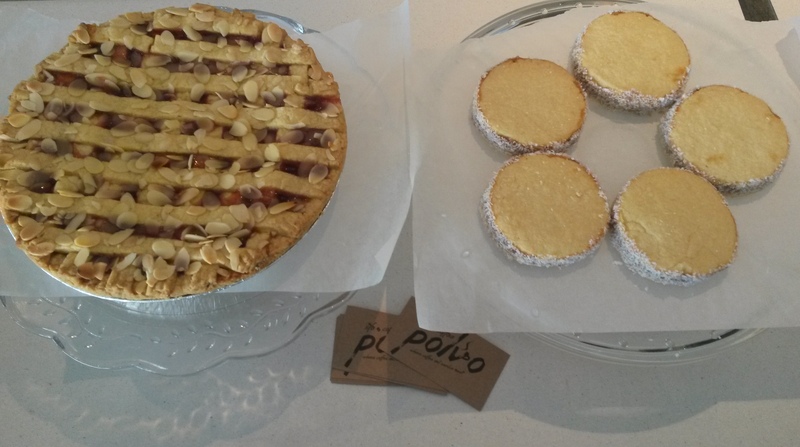 However, at Polvo, before anything else, coffee and service was going to be my focus, my detail. I did not want to scrutinize my end product to see if I could save a gram somewhere. Instead, we rather looked at curbing wastage behind the counter and in the kitchens. From grinding, to tamping, to milk usage, make sure all staff are on the same page with regards to minimizing unnecessary costs. Spend a couple days observing staff and the process before laying down the law. If you do food, make sure you sell desserts or foods that do not go off at a rapid rate. For cakes and things, research the types of cakes that do not dry out quickly. And for meals, instead of offering plain chicken sandwiches, rather make it smoked chicken. Smoked and cured meats have a longer shelf life than raw-to-cooked meats. This does not entitle you to become a dodgy establishment with a reputation for selling stale cakes and inedible lunches. Essentially you want everything to stay fresh all the time but we know that will never happen, so safeguard the business by stocking items with maximum shelf life and ensure fast and effective stock rotation. For fresh stock, set up business relationships that will ensure the best produce at the best price at the best time. At some point you are bound to have staff with fingers in the till. It is inevitable, and not just in this wonderfully corrupt South Africa. It is a problem the world over. In order to minimize cash on the premises, we sought out a mobile payment method. We showed our customers how to download the SnapScan application on their phone, link it to their bank, scan our unique code, enter their code and pay. It is the easiest thing!. They come, they scan, they go. This system worked well for our jogging or cycling customer, who often found themselves without a wallet, but only with their phones. One of the worst forms of waste! As a business owner you have little to offer the business by hitting the till or drawing doodles on the morning newspaper. It made more sense for me to measure my minutes and my efforts. Every morning I forced myself to tend to physical shop related work before having my first cup. After a cuppa, we will meet for training and only then will I concentrate on mails and media updates. It has to become a routine. Remember: finger on the pulse. This is where it gets really tricky. 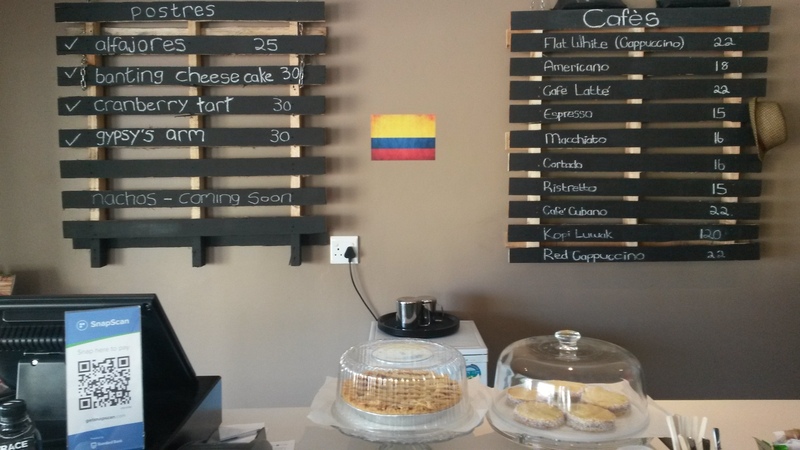 The aim to setting up a coffee shop should be by doing so on a limited budget. From the start, it has been my objective to find ways to cut costs where possible without it looking cheap. However, many things pop up after the budgeting process, and by then finances are limited. I also received the best cost saving advice when it was already too late. So pay attention and you could save some money. Begin by writing down everything you might need. Go into detail here. Napkins, cloths, cleaning agents, an increase in phone calls prior to opening, etc. I felt assured I had planned for every eventuality, but I was proven wrong many times over. Make sure even the most unlikely expense is added. 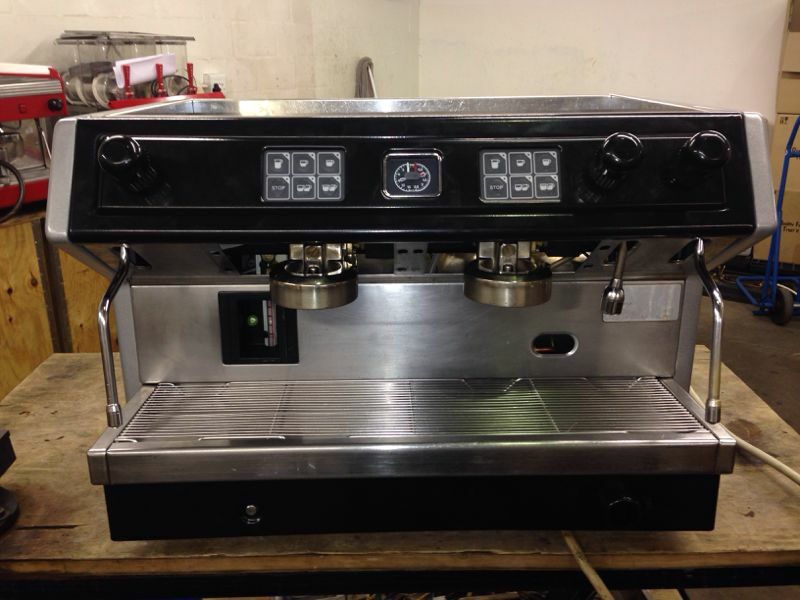 One of your most expensive items will be the espresso machine and grinder. Contrary to what you might think, you do NOT have to buy these items brand new. Most start-ups have had early success with decent second-hand equipment. Just get an expert to inspect the machine before buying it. We bought a reliable old Brasilia, henceforth known as Old Faithful. To be different, the Nexus team did a nifty paint job on Old Faithful, and she is now ready to work. After you have made a list of what items are needed for your shop, ask yourself which of these would be adequate if purchased as a good-condition second-hand item. Then begin booking auction dates and attend a couple to get the gist of proceedings. Great bargains are to be had for the savvy entrepreneur. I will not recommend buying crockery or an espresso machine on auction, but things like tables, fridges, work stations, etc., could save you a lot of money. Sadly I missed the auctions, but this is sound advice which came my way later. Google for second-hand items on sites like Gumtree or similar classifieds. You are bound to find someone selling old restaurant or catering equipment. I even used Gumtree to get estimate prices on items, as not to be done in along the way. Also use Google to check specs and price comparisons before buying anything. Make ridiculous offers on items, come in with a low price and see what happens. It is true that buying in bulk reduces cost per item. However to open your store, you do not need 5000 take-away cups and sugar packets. Pace your purchases. An as-and-when approach is a safer approach. Even with crockery, we bought tea cups, americano cups and cappuccino cups with a universal double well saucer. So we could start with about 30 cups of each and only 30 saucer to share until the demand increased. 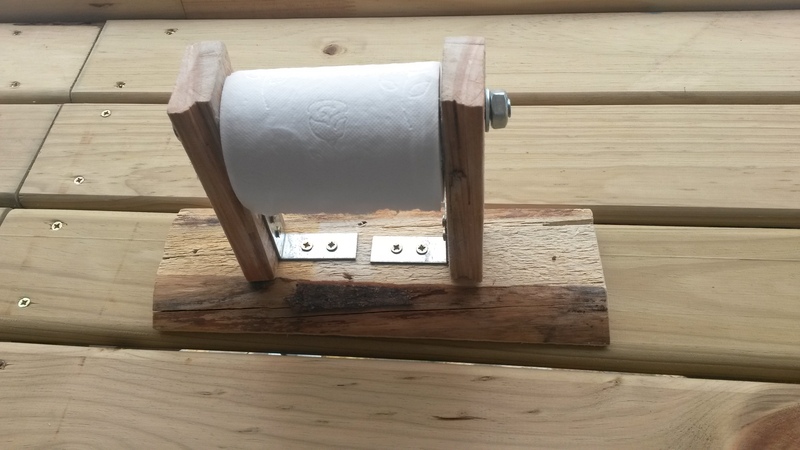 Yes, that is a DIY toilet paper dispenser. Though crude, it cost nothing to make and complimented our theme. Unless you constantly rework the costs to setting up, shop fitting can and will be an outrageous expense that quickly gets out of hand. Best result: do it yourself. I don’t mean you should become a handy man overnight, but you will have to get involved a bit. I always wanted Polvo to have an earthy theme. My carpentry and plumbing skills are extremely limited, but I roped in the help of some more apt friends and together we managed to get everything done. Drilling the odd hole or painting a bit is not rocket science. Consult those who know better than you. Join and follow organizations, groups and institutions who can assist you with industry-related assistance. Make friends with experts, suppliers or like-minded businessmen and constantly ask them for advice. Soak it up. More exposure to the environment assist with budgeting like nothing else. The Coffee Mag always has some great articles about the coffee business and SCASA always has some advice floating around on their website, and those of its members. Hanno from Strictly Coffee was a never-ending source of advice and it was fun bouncing ideas around throughout the process. Keep these 5 points in mind when starting out and keep a close eye over where your money goes. Now that enough research has been done it is time to get this blog series back on track. We looked at the research, the coffee and the branding. You are legal to trade and you probably have some trial business cards or pamphlets tucked away somewhere. You have a brand approach in mind, but you have no stock and your budget is already giving you sleepless nights. There is no way around the fact that you will need things to sell. The worst customer experience is walking into a shop and looking at an empty shelf or hearing you have sold out. There is a way to make this count in your favour. The early days are perfect to gauge your customer. Open your shop with some variance (not too much variance) so that you are able to see what sells and what is in high demand. 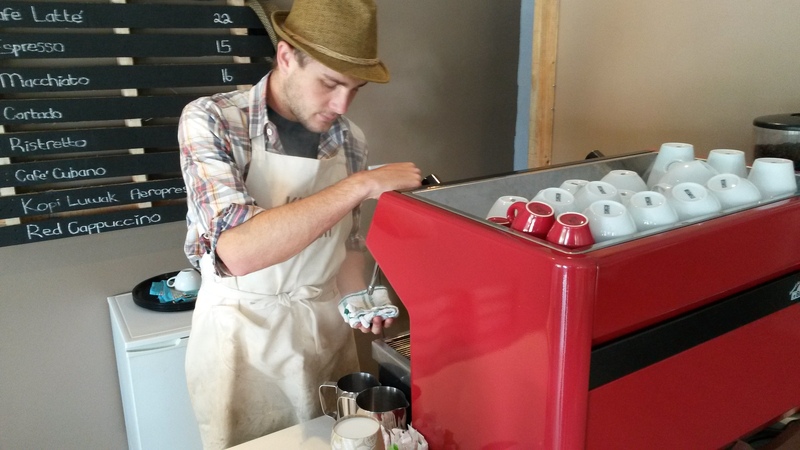 If you are going to be a speciality coffee shop, then coffee should account for most of your stock on hand, but do not neglect to offer something else for your customers. 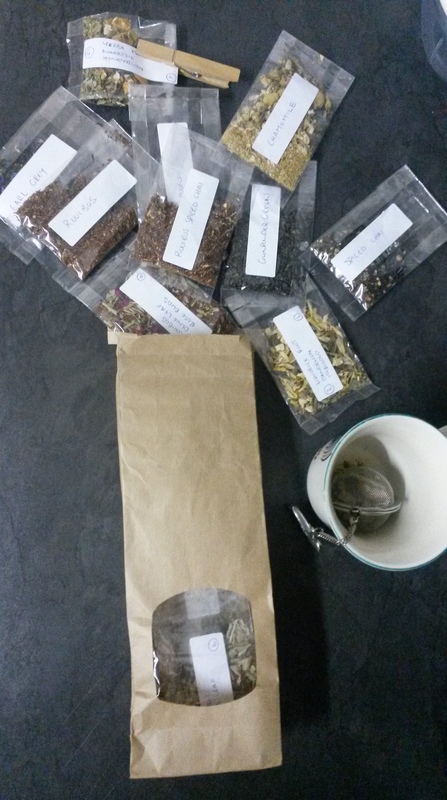 Choosing the right tea is not easy. Sample as many as possible. I tried to have an even 50/50 approach. Half of the stock on hand would cater for the coffee drinker and half would cater for everyone else. I met with suppliers, found a juice and water supplier who spoke my language and we did business. So there is my water and my juices sorted out. And me being a perfectionist, I went for a water that is unique and not too abundant. 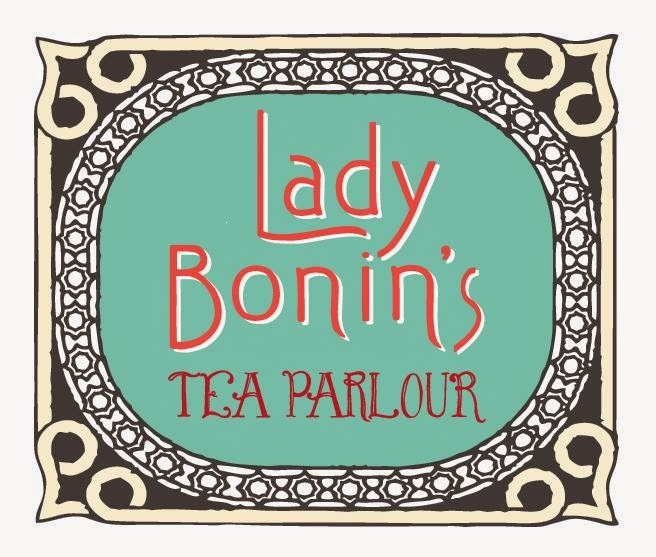 Even our teas were sourced from Lady Bonin’s Tea Parlour, unique blends especially made for Polvo. And while you are gathering stock keep in mind the following: to avoid delays, complete account documentation at the soonest possible moment. This takes a lot of time to set up. Besides, most suppliers do approvals for 30-day accounts, which might benefit your business as it gives you time to sell what you had bought before payment is due. For a start-up this could either help you find your feet or cut your throat. Do cash as far as possible. Don’t spread your debt amongst suppliers. Suppliers work on this rule: once bitten, twice shy. So play nice. Your interaction with suppliers is what guarantees your stock. And remember that during every communication! Don’t screw a supplier over and don’t send out negative energy. Treat them as you want to be treated and they will go the extra mile for you. You are after all their customer. I do not say you should tolerate sub-standard service, but plan your responses well when business suffers as a consequence. And don’t think your milk, desserts (if prepared off-site), take-away cups, sugar packets, serviettes, cleaning materials, toiletries, filters, and pens do not form part of your stock. These items might all have to be sourced from different suppliers, so set up the supply chain. This also helps with the next, very important section, which is budgeting and cost-cutting. The budgeting part is always tricky, because you never know what is waiting around the corner. More on that in the next entry.